CGL Insurance Kentucky CGL (commercial general liability) insurance will protect your small business from financial losses. These can range from property damage, lawsuits, advertising injury, or any other liabilities your company might have which relates to personal loss for a client or employee. Non-professional negligent acts are covered under your CGL policy, so as a business owner you should understand what it covers, and how a CGL insurance Kentucky policy can protect your business. 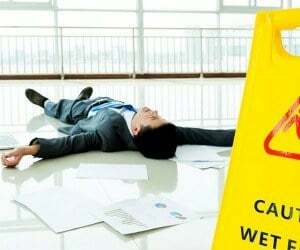 CGL insurance Kentucky protects your business from lawsuits with rates as low as $27/mo. Get a fast quote and your certificate of insurance now. 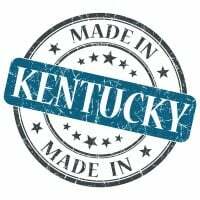 These are a few of the many instances you can be found liable as a KY business owner. 1. Coverage A - Bodily Injury and Property Damage: The property damage or bodily injury which stems from non-professional negligent acts, are covered under this section of your CGL insurance Kentucky policy. Mental injuries or distress claims might also fall under this category, even when physical injuries aren't present. KY worker's comp and employment practice liability are excluded under this clause. You can however purchase additional coverage for these protections. Pollution liability is also excluded. You are covered for all necessary medical, ambulance, or surgical/medical care necessary for the injured party. No defense or legal liability coverage is afforded under this section of the CGL insurance Kentucky policy(as is the case with coverage A and B). CGL insurance Kentucky can be purchased on its own or with a BOP policy or CPP (commercial package policy) insurance. It is best to discuss your options with an insurance agent prior to deciding. And, in the event CGL, BOP, and CPP aren't sufficient, umbrella (excess liability) policies are also available for businesses to consider. Request a free CGL Insurance Kentucky quote in Alexandria, Ashland, Barbourville, Bardstown, Beaver Dam, Bellevue, Benton, Berea, Bowling Green, Brandenburg, Cadiz, Calvert, Campbellsville, Carrollton, Central, Cold Spring, Columbia, Corbin, Covington, Crescent Springs, Crestview Hills, Crestwood, Crittenden, Cynthiana, Danville, Dawson Springs, Dayton, Douglass Hills, Eddyville, Edgewood, Elizabethtown, Elsmere, Eminence, Erlanger, Flatwoods, Flemingsburg, Florence, Fort Mitchell, Fort Thomas, Fort Wright, Frankfort, Franklin, Georgetown, Glasgow, Graymoor-Devondale, Grayson, Greenville, Harrodsburg, Hartford, Hazard, Henderson, Highland Heights, Hillview, Hodgenville, Hopkinsville, Hurstbourne, Independence, Indian Hills, Irvine, Jeffersontown, La Grange, Lakeside Park, Lancaster, Lawrenceburg, Lebanon, Leitchfield, Lexington-Fayette, London, Louisville, Ludlow, Lyndon, Madisonville, Marion, Mayfield, Maysville, Middlesborough, Middletown, Monticello, Morehead, Morganfield, Mount Sterling, Mount Washington, Murray, Newport, Nicholasville, Oak Grove, Owensboro, Paducah, Paintsville, Paris, Park Hills, Pikeville, Prestonsburg, Princeton, Prospect, Providence, Radcliff, Richmond, Russell, Russellville, Scottsville, Shelbyville, Shepherdsville, Shively, Simpsonville, Somerset, Southgate, Springfield, St. Matthews, Stanford, Stanton, Taylor Mill, Union, Versailles, Villa Hills, Vine Grove, Walton, West Liberty, Wilder, Williamsburg, Williamstown, Wilmore, Winchester and all other cities in KY - The Bluegrass State.